Just as pilots can use flight simulators to practice for difficult missions before setting foot in a plane, now brain surgeons can rehearse challenging microsurgical procedures before making a single incision. Already in use at US teaching hospitals and soon to be available to practicing neurosurgeons, the Selman Surgical Rehearsal Platform (SRP) neurosurgery simulator generates 3D images from the individual patient’s standard CT and MRI scans. The lifelike preview shows how surgical instruments will interact with the patient’s tissue and how the delicate brain structures will respond. SRP was developed by former Israel Air Force officers Moty Avisar and Alon Geri, who know a thing or two about the life-or-death importance of practicing in a sophisticated simulated environment. Three years in the making, the SRP was launched at the Congress of Neurological Surgeons in October 2012, where it was selected as a “new technology to watch.” Patent approvals have come through for the technique of turning static medical imagery into a dynamic model. “The majority of translating what we knew from flight simulation to surgery was to understand more about what realism means,” says Avisar. The “Selman” part of the product name is after Dr. Warren Selman, chief neurosurgeon at University Hospitals Case Medical Center and chairman of neurological surgery at Case Western Reserve University School of Medicine in Cleveland, Ohio. A patient’s medical images are turned into an interactive surgical training tool. Selman helped to found the company Surgical Theater – based in Ohio with offices in Ramat Gan outside Tel Aviv — as a result of overhearing Avisar discussing flight simulator technology while waiting to be seated at an Ohio coffee shop. Intrigued by the possibilities in the medical field, he introduced himself and the discussion really took off. “It’s a Midwest culture, so people talk with each other in line,” jokes Surgical Theater CEO and President Avisar, who has master’s degrees in system engineering, electrical and computer engineering and business. Though the company only recently applied to the US Food and Drug Administration, the SRP is already a valuable tool for surgical residents using a library of images from typical case studies. “We’re expecting it to be cleared in early 2013 so surgeons can upload images from the next day’s patients and rehearse,” says Avisar. Participants anywhere can simultaneously view and practice the same case with real-time feedback, and work together on planning an operation. 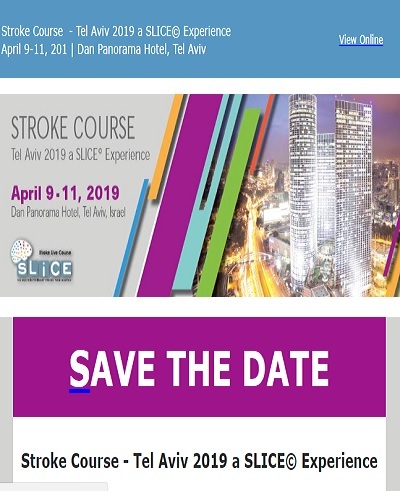 He and Dr. Fred Meyer of Minnesota’s Mayo Clinic are establishing a long-distance collaboration with Israeli surgeons and medical students supervised by Dr. Moshe Hadani, chief of neurosurgery at Israel’s Sheba Medical Center at Tel Hashomer. They will test the SRP’s effectiveness as a teaching tool not just for brain surgeons but also for spine surgeons.